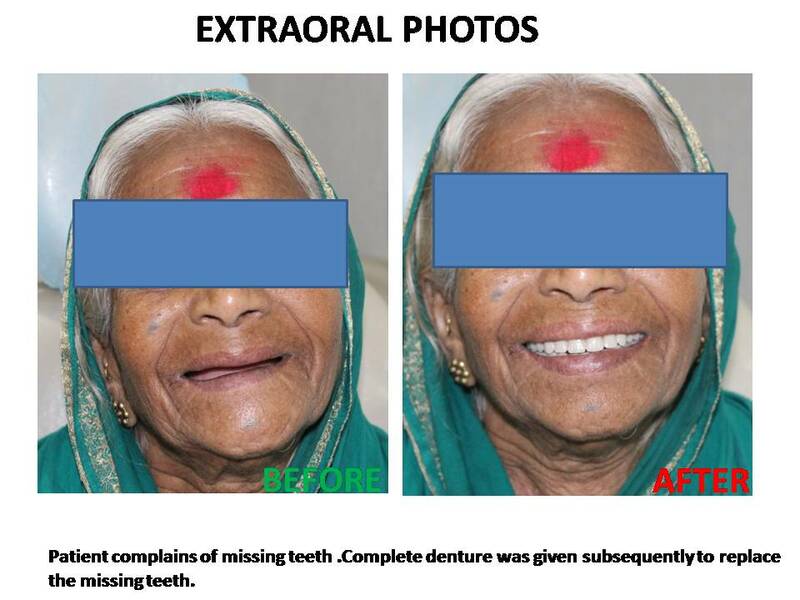 A removable partial Dentures treatment in Pune or bridge usually consists of replacement teeth attached to a pink or gum-colored plastic base, which is connected by metal framework that holds the denture in place in the mouth. Partial dentures are used when one or more natural teeth remain in the upper or lower jaw. 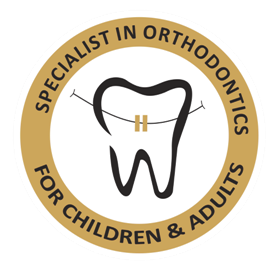 A fixed (permanent) bridge replaces one or more teeth by placing crowns on the teeth on either side of the space and attaching artificial teeth to them. This "bridge" is then cemented into place. Not only does a partial denture fill in the spaces created by missing teeth, it prevents other teeth from changing position. A IMPLANT supported partial denture is removable and has internal attachments rather than clasps that attach to the adjacent crowns. This is a more natural-looking appliance. 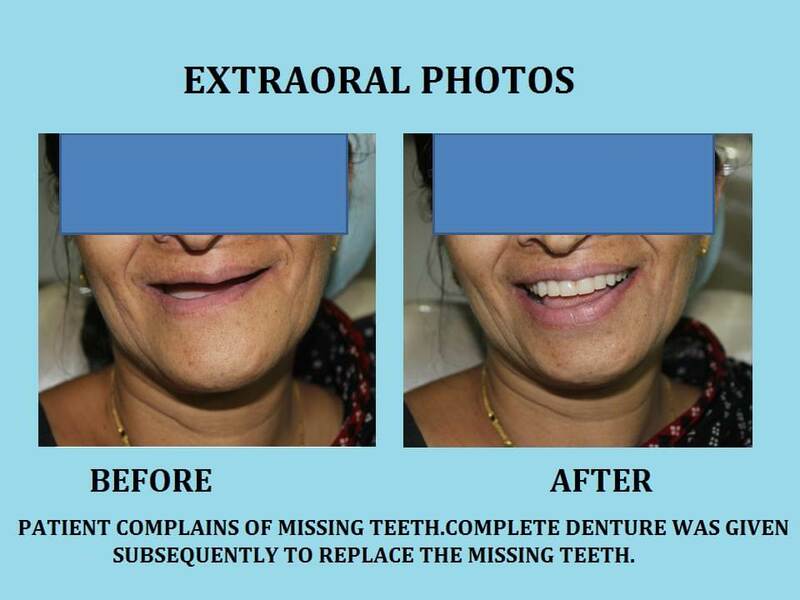 Depending on the amount of work carried out help improve your Dentures treatment in Pune they can affect your speech temporarily. This can be due but not limited to the repositioning of the teeth and the shape of the denture base. There are some simple tricks to help with speech which will be given at the time of denture delivery. Dentures treatment in Pune are designed to function in a moist environment it is therefore not advised to let the dry out completely. If your dentures are left out of your mouth they should be kept in water. There are many brands of denture cleaners on the market and what brand to use is usually down to personal preference. However it should be noted that household bleach and everyday toothpaste can harm the denture. If you notice a lot a tartar or plaque build up you may also use white vinegar to soak your dentures and then brush off any residual build up. Remember that you can have your denture professionally cleaned by a Denturist in a matter of minutes.So if you notice heavy stains gask your dentist for a cleaning by denturist. Dental implants in Pune are titanium replacements for natural roots. Titanium has biocompatible properties which enables natural bone to fuse to it, or integrate. Once an Best dentist for implant in Pune has integrated it can be used to carry special attachments to help secure partials or denture. It is now also widely believed that it also stimulate bone tissue to help maintain a healthy jaw and mouth. 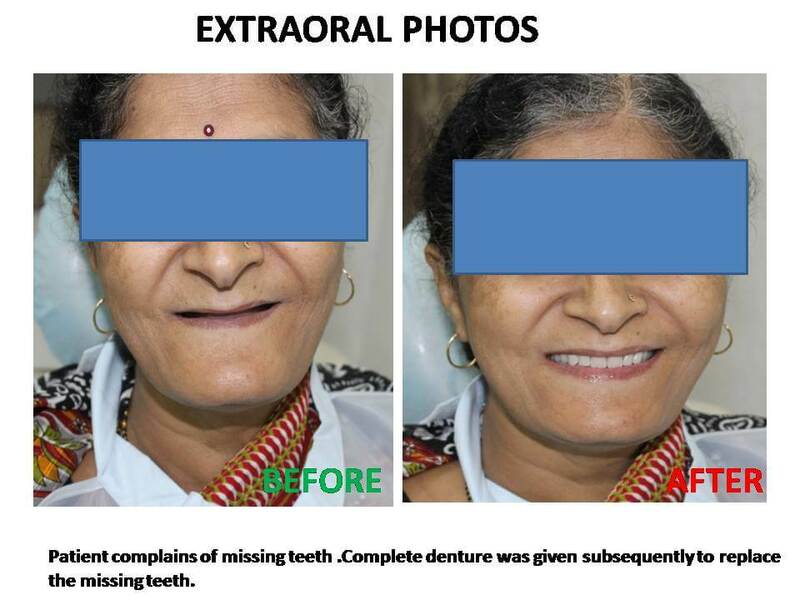 Yes, Dental implants in Pune can be used to support permanently cemented bridges, eliminating the need for a denture. The cost is usually greater, but the implants and bridges more closely resemble the feel of real teeth. Dental implants are becoming the alternative to dentures but not everyone is a candidate for implants. Consult our implantologist for advice.